With this year almost coming to an end, we’re expecting to see a large number of flagship devices to be released in early 2018. Xiaomi’s Mi 7 is certainly one of the hotly anticipated launches and the company has already confirmed that their Mi 6 successor will be powered by Qualcomm’s newest Snapdragon 845 mobile platform. The Chinese giant was unable to release a Plus variant of the Mi 6 last year due to chipset shortages but Mi 7 Plus will make an appearance alongside its smaller variant this year. We’ve recently also received word of the rumored specifications of these flagship devices. With the Mi 7 and Mi 7 Plus, Xiaomi will bring the trendy new 18:9 displays to their latest flagship lineup. It is expected to include a Quad HD+ AMOLED panel, with a display resolution of 2560X1440 pixels. The said flagship devices are expected to be clad in a metal and glass combo design, making them capable of wireless charging support. 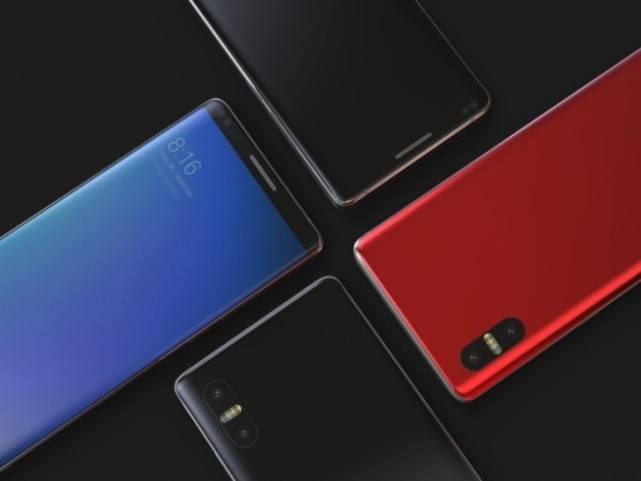 We already know that these flagship devices will be powered by the latest and greatest of the Snapdragon 8xx lineup, thanks to a confirmation by Xiaomi’s CEO. There is not much information on the camera, battery, and other functionalities but we’ve compiled a list of major leaked details. Here, take a look at rumored specs that have made their way to the Internet over the past weeks. Since Xiaomi’s Mi 7 and Mi M7 Plus will be one of the first flagship devices to be powered by the Snapdragon 845 chipset, it is believed that the Chinese phone maker will have an ample stock for its two variants to go on sale simultaneously. The smaller Mi 7 will most likely retail at 2,699 yuan (~$400) whereas its elder brother will cost around 2,999 yuan (~$450). With a good year under its belt, Xiaomi is expected to make a return to the MWC’18 show floor to debut their latest flagship. This means the company will release the Mi 7 and Mi 7 Plus in March next year, which means we still have a lot of time to receive more concrete leaks for the device. What do you think of the currently leaked specs of the devices? Let us know your opinion in the comments down below.